Zachary Levi will soon be known as Shazam, but don’t forget, he was also in the MCU. In case you forgot, Levi was a part of the Marvel Cinematic Universe. 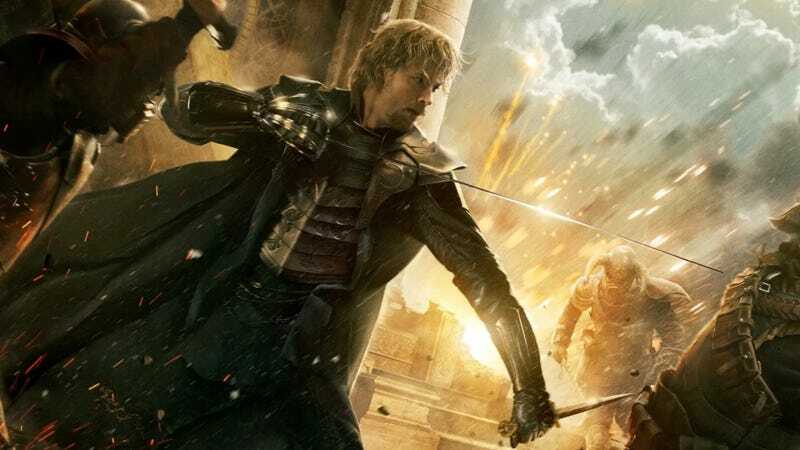 He was cast as Fandral, one of Asgard’s Warriors Three (along with Hogun and Volstagg) for the first Thor, but had to drop out when his TV show Chuck got renewed. He came back, though, for Thor: The Dark World and then, briefly, in Thor: Ragnarok. Spoiler alert, he dies in that third one, a decision made to aid the villainous Hela in seeming even more evil. And though he was disappointed with the character’s fate at the time, Levi now sees it a blessing in disguise. The way it worked out allowed for Levi to be free of any contractual obligations and get cast as Shazam. But he credits his attitude toward another Marvel role for that happening as well. Like many other actors his age, Levi was among the people up for the role of Star-Lord in the first Guardians of the Galaxy. At the time, Chris Pratt had passed on the role and Levi was eager to get it. He even camera tested. “I wanted it so bad,” Levi said of Star-Lord. Looking back though, Levi thinks that desperate attitude is what hurt him because he had the exact opposite attitude towards Shazam. That smile isn’t just in the movie, it’s real. Levi loves Shazam. Initially, Levi declined to even audition for Shazam. He thought it was a waste of time because he wasn’t a big enough name, or physically large enough to play the superhero. It wasn’t until later that he warmed up to the idea and realized, oh crap, I may get this because I don’t care as much. And yet, as happy as Levi is as Shazam, saying it “jumpstarted” his life, he still imagines what could have been as Fandral.